Tallier Zella (a pseudonym) has never been a great sleeper. She often maxes out at five hours of sleep in a given night, and even that sleep is usually broken. She has no trouble falling asleep; it's staying asleep that's the problem. Shortly after starting to use TallyLab, Zella came across some research suggesting that taking Vitamin B12 before bed could help her stay asleep. 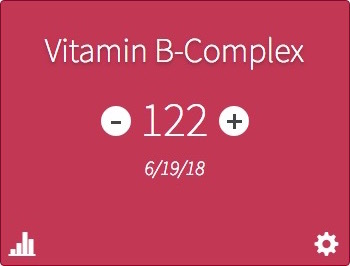 She picked up a bottle of liquid B Complex at the grocery store and began capturing data. Zella first created a Sleep tally, which she set up as a timer in order to capture duration. She also set the tally up to require a numeric value, which she used to rate the quality of her sleep on a scale from 1-10. Zella also created a basic tally which she added to when she took Vitamin B, usually right before bed. The trend was that taking Vitamin B appeared to have zero effect on Zella's sleep! 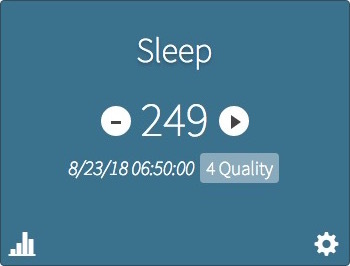 Since Zella was tracking both the duration of her sleep and its quality, she could chart trend lines for both to see if either were affected by the Vitamin B. The trend line for quality of sleep had a barely-perceptible positive slope of 0.01, while the trend line for duration of sleep had a slope of 0. Zella promptly stopped taking the supplement and has noticed no signicant worsening of her sleep since then. She is saving a few bucks a month, though!